Our 9 year old daughter wanted to be something different from the typical costumes for book character day at school. Since this day was scheduled for October 31 we were pretty excited. 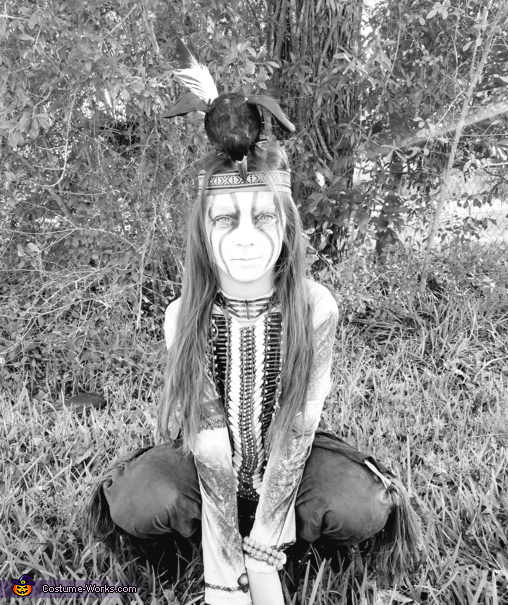 After many stores our little tomboy found her perfect outfit "mom, I found it i can be tonto from Lone Ranger just like Johnny Depp" and that's what we did. She was a HUGE hit a school and was the perfect addition to or family themed costumes, our little tribe.